Anyone who's held back from buying the new Pixel smartphones from Google is in luck. Google's latest Black Friday deals show the company has discounts planned for the Pixel 3, Pixel 3 XL and Google Home Hub. Starting tomorrow, through November 21st its Pixel 3 smartphones can be purchased through a buy-one-get-one 50 percent off deal. Those who are looking for a single handset will be able to get the Pixel 3 for $150 off, while the larger Pixel 3 XL for $200 off starting November 22. The Pixel 3 features a 5.5-inch display, up to 128GB of internal storage, a 12MP rear camera, dual 8MP front cameras, a fingerprint scanner, wireless charging and a Snapdragon 845 chipset with 4GB of RAM. 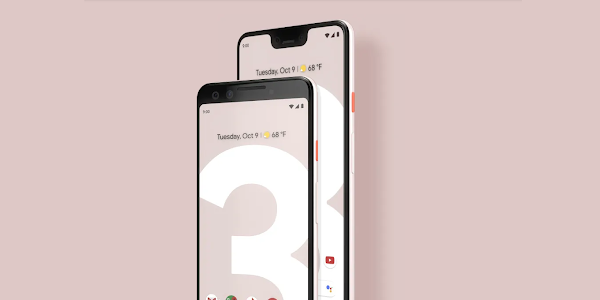 The Pixel 3 XL features a 6.3-inch display, up to 128GB of internal storage, a 12MP rear camera, dual 8MP front cameras, a fingerprint scanner, wireless charging and a Snapdragon 845 chipset with 4GB of RAM. While both Pixel smartphones had their share of issues since launch, Google has been quick to release fixes. If you purchase a new Pixel smartphone on Cyber Monday, you will get a free Google Home Hub along with $50 to spend on the Google Store. The Google Home is a smart display that works as a picture frame, assists you in the kitchen and manages home automation. Google also plans to offer discounts on various other products on the Google Store, including $470 off the Nest Learning Thermostat, $50 off the Google Home and $300 off the Google Pixelbook.